We have been truly blessed with an amazingly dry October which is such a bonus allowing us to get on with the jobs required at this time of year. The cattle came into their winter housing at the end of September because at that time we had a very wet period and not enough grass in the fields for them to eat. However, we do have plenty of round bale silage to feed them when housed so took the decision to ‘bring them in’. The cattle now get the best of both worlds, they are able to sit out in the open passage way when it is dry and sunny, but when it is wet they have cosy dry beds to sleep on. We have changed the way we do things a little this year. You may remember we have used the artificial insemination method of getting the cows in calf this year rather than keeping a bull. We are hoping for some lovely, healthy, strong calves starting around February 2017. 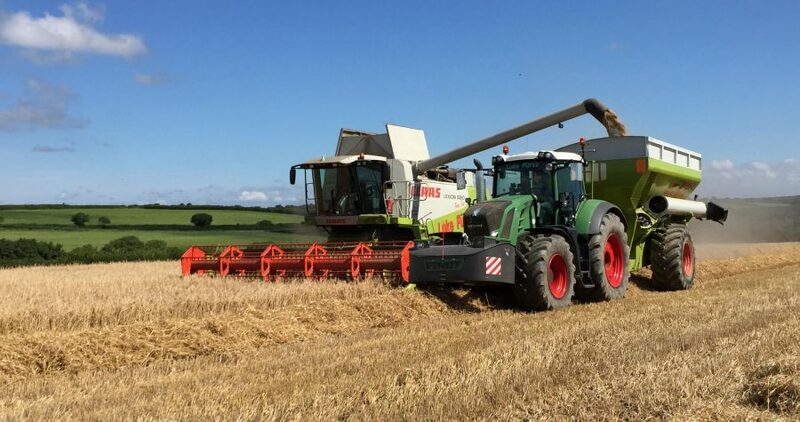 Another thing that has changed is we have grown an arable crop of spring barley for the first time this year. We had more than enough round bale grass silage left over from the 2015/2016 winter so decided to grow 22 acres of spring barley. The barley is the basis of the cow pellets the cattle are fed, plus the crop also provided us with barley straw. In our opinion the best type of straw. 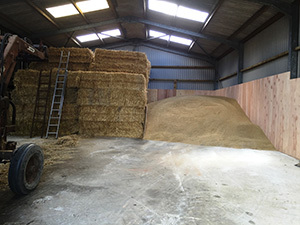 So our bills from the feed merchant and straw merchant will go down as we have been able to produce our own! We have needed to make a dry storage area to keep the barley clean and dry. 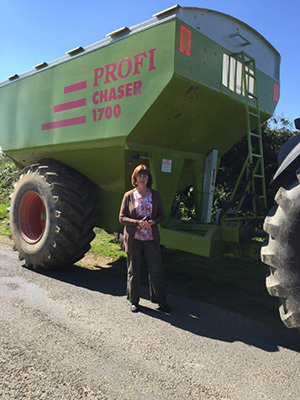 It will be milled with protein and molasses added to make into the complete feed for both the cows when necessary and the 2016 calves which are growing at a rate of knots! As I write we have nearly completed the annual hedge trimming task which tidies up the hedges. Trimming the hedges encourages them to grow from the bottom so they don’t get to thin and tall. This in turn helps keep the cattle/sheep in the fields. Hopefully in the next Farm Diary I will be able to report on the arrival of the new baby calves!